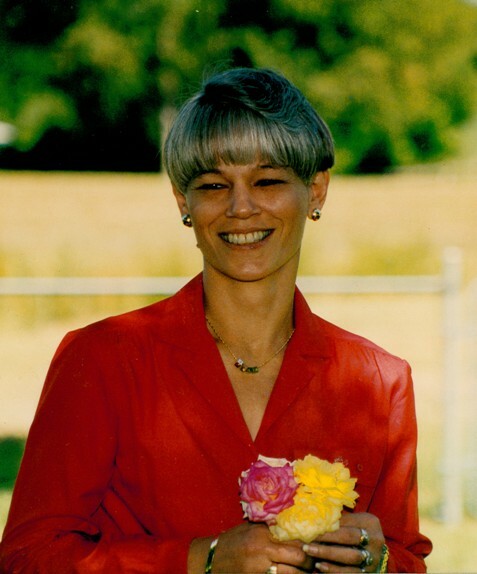 Donna Anne (Barnes) Ellis, age 58, of El Dorado Springs, MO, passed away at her home Friday morning, November 15, 2013. Donna was born February 16, 1955, at Camp Crowder, MO. Donna graduated from Walker High School in 1973. She moved to El Dorado Springs, MO, in 1980 and worked at Tri-County Bank for twenty years. She then worked at KAMO Power for eight years up until her passing. Donna and Jack were married on December 10, 1995, and resided on Main Street in El Dorado Springs, MO. They spent the last eighteen years together remodeling their home, which dates back to 1881. Their enjoyment and hobbies were the home and its surroundings. If ever you wanted to celebrate Christmas, you would have been amazed with their holiday home which Donna decorated with seventeen full-sized trees. Preceding Donna in death were her infant daughter, Michelle Lynn Wright in 1974 and mother, Cora Imogene Barnes in 2005. Survivors include her husband, Jackie Ray Ellis of the home; sons, Anthony J. Wright of Springfield, MO, and Jeremy Ray Ellis of Miami, FL; daughter, Jackie Rae Murrant and grandson Donald Roy Murrant of Uxbridge, MA; father, Thomas A. Barnes of Walker, MO; brothers Billy Joe Barnes of Jonesboro, AR, and Thomas (Tommy) Barnes of Walker, MO; and sister Sylvia Evans of Walker, MO. Memorial services for Donna Ellis will be held on Saturday, November 23, 2013, at 7:00 p.m. at the Bland-Hackleman Funeral Home in El Dorado Springs, MO. Pastor Jim Smith and Pastor Patty Smith will officiate. Arrangements are under the direction of Bland-Hackleman Funeral Home.